We’re Gettin’ Jazzy With It! Come and see us on Saturday, April 28th at 7:30 pm for the BoilerMaker Jazz Band as they pay tribute to Benny Goodman and his orchestra. There are still great seats available, so call the Box Office Today! Office hours are Monday through Friday from 10 am to 4 pm. Or click on the BUY TICKETS tab of this website to review the seating chart! Some information about swing music or 1920’s JAZZ! Swing music, or simply swing, is a form of popular music developed in the United States that dominated in the 1930s and 1940s. The name swing came from the ‘swing feel’ where the emphasis is on the offbeat or weaker pulse in the music. Swing bands usually featured soloists who would improvise on the melody over the arrangement. The danceable swing style of big bands and bandleaders such as Benny Goodman was the dominant form of American popular music from 1935 to 1946, a period known as the swing era. 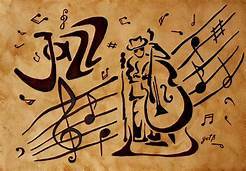 The verb “to swing” is also used as a term of praise for playing that has a strong groove or drive. Notable musicians of the swing era include Louis Armstrong, Duke Ellington, Count Basie, Benny Goodman, Artie Shaw, Glenn Miller, Woody Herman, and Cab Calloway. This show is sponsored by Chan Soon-Shiong Medical Center at Windber, Eureka Coal Heritage Foundation, and WJAC TV. http://arcadiawindber.com/wp-content/uploads/2018/04/Jazz-Clip-Art-III.jpg 171 246 Windber Arcadia Windber Arcadia2018-04-23 15:33:132018-04-23 17:32:35We're Gettin' Jazzy With It! Happy Monday! You’ll never guess what today is…..